Product categories of 2 Ton Electric Forklift, we are specialized manufacturers from China, 2 Ton Electric Forklift, 2 Ton Counterbalance Forklift suppliers/factory, wholesale high-quality products of Mini 2 Ton Electric Forklift R & D and manufacturing, we have the perfect after-sales service and technical support. Look forward to your cooperation! 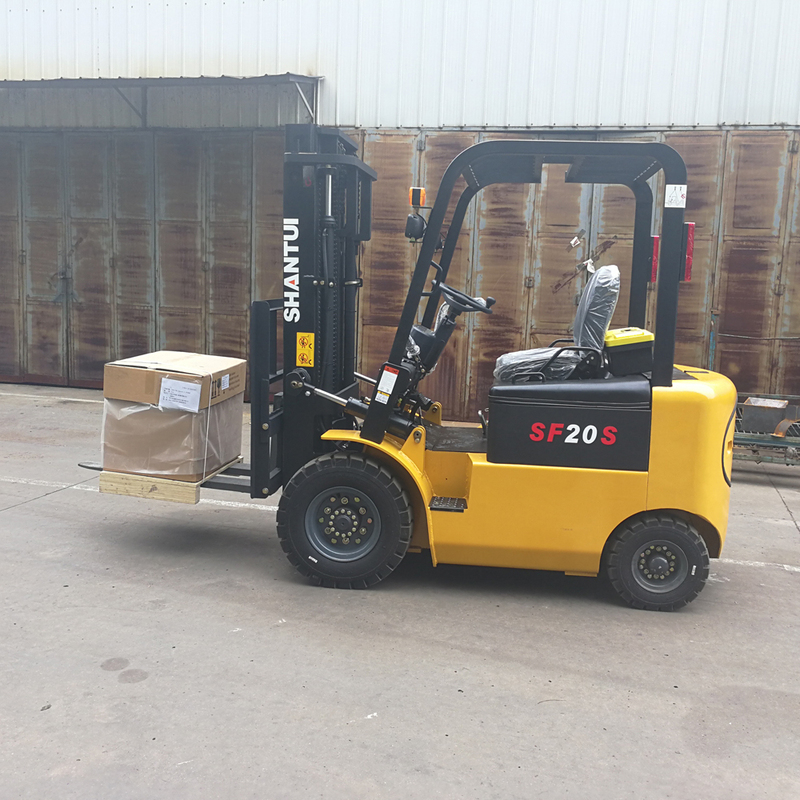 2 Ton Electric Forklift With Storage Battery as the power producer, it has the advantages of high energy switching, low noise, no pollution, and convenient control, so it is widely used in workshops, warehouses, foods, medical, micro electronics industries which have higher demand to the environment conditions, and becoming the first choice of indoor material handling tools. And it has DC and AC two types of motor. 1 ZAPI electronic control system made in Italy is used in this series. In addition to all kinds of electronic control protection mechanisms, they still have functions of power-off protection, driving braking and steering keeping and so on. 2 The excellent performance of low speed DC motor and low noise gear is very attractive. Furthermore, steering motor and steering pump are eliminated to achieve hydraulic system driven by only single pump shunt, which reduce the driving and lifting noise, so they are better for environmental protection. 3 The electric system uses intelligent electronic instruments, which can automatically measure water temperature, fuel level, and engine oil pressure; the connectors have a special water-proof seal structure, ensuring safe and reliable operation. 4 The international leading CAN-bus technology is adopted in this series, reducing wiring and ensuring the reliability of communication signals. 5 The appearance is very beautiful and elegant. Whats more, the frame is firm and reliable, because the thickness of plate reaches to about 10mm while many other brands of forklifts 6mm. 6 The cab with ergonomic design adjustable shock absorption seat can provide a more comfortable and safer operation environment and better vision, which will greatly reduce the labor intensity. 7 Transverse drive motor and storage battery lying on the bottom of the frame ensures the good stability. Besides, the battery capacity is large enough to keep working for 8 hours. 8 Either secondary or tertiary telescopic mast is optional as you like, and the maximum lifting height can be 6 m.